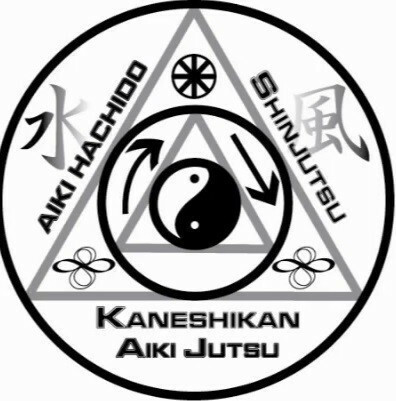 Kaneshikan Martial Arts is a system of martial arts consisting of several different styles derived from other established arts. The system was established by Joe "Masayuki" Kaneshi Mesa who studied several arts since the age of eight in his home country of Guam. Mesa Soke's teachers consisted of relatives, primarily his uncles, who taught him Okinawa-Te Karate and Aikido/Aikijutsu related arts. 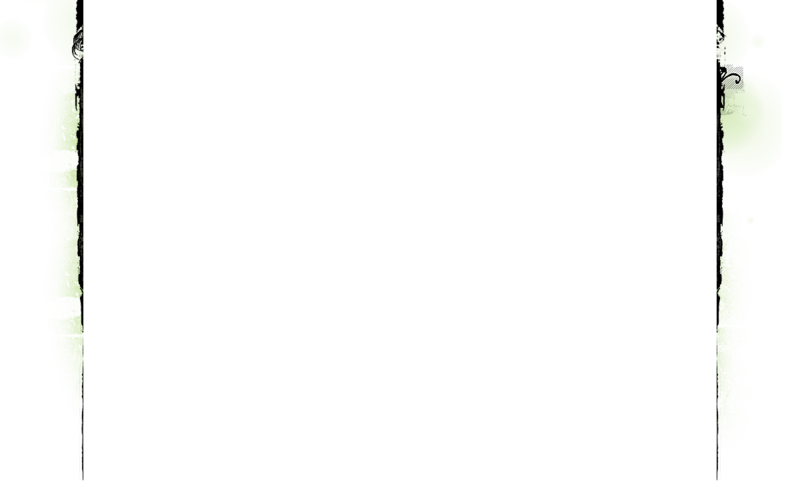 Mesa Soke also studied parts of Filipino arts such as stick fighting. The art is significant in that it was founded in Guam and carries the tradition of an Okinawan family line, the Kaneshi family. The art is an example of the culmination of arts that has occurred during the evolution of many martial arts styles. 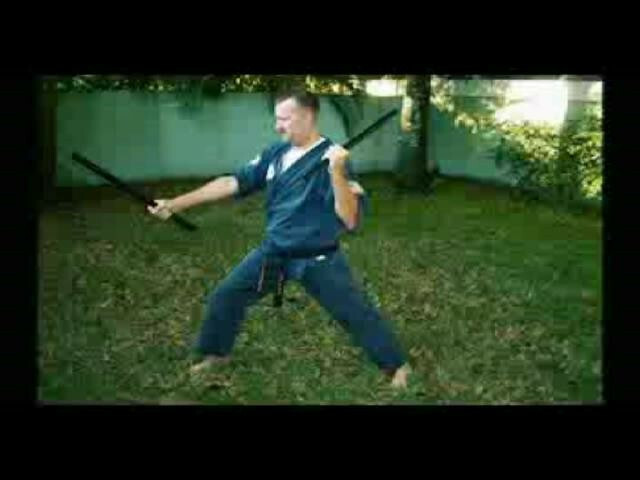 The founder is an Army combat vet having served in Viet Nam; therefore, this martial arts system's content is combat oriented and practical, at the same time having traditional roots. One of the founders of Isshin Ryu Karate, Kaneshi Eiko, was the uncle of Mesa Soke, the founder of this system. The Okinawan roots combined with the Filipino influence, the Army combatives experience, and the LE experience of the founder's senior student, Dr. John M. Landry, make this system very complete and comprehensive. The system was taught in Illinois for many years until mesa Soke's retirement. The system is still taught in Florida and practiced around the world where Mesa Soke's students have settled. 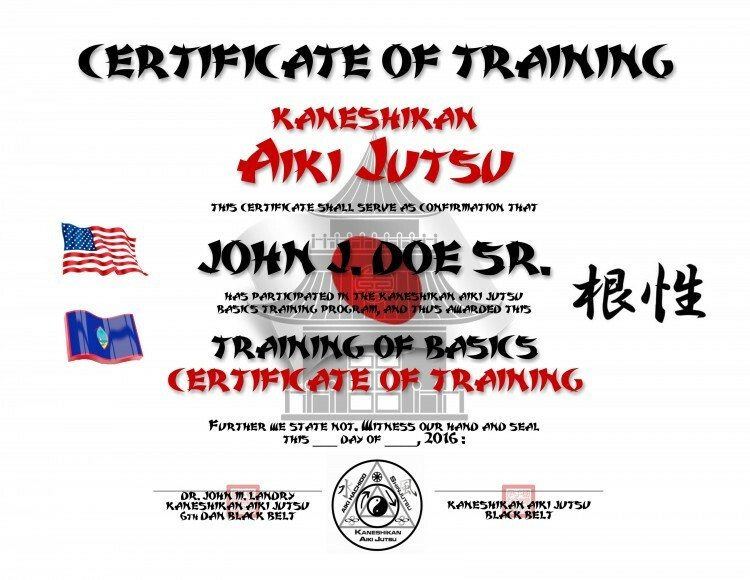 Order DVD #1 Aiki jutsu, White & Green Levels, plus free Certificate of Training, free shipping ! Contains 64 Base Techniques​, or get all 3 DVD's and Certificate of Training ! upper and lower body targets, breakfalls, ground defenses, pressure points, throws & locks. This DVD is the first step into earning your belt rank in the Kaneshikan Aiki-jutsu system. The remainder of material is on DVD's 2 & 3 to continue and earn your Black Belt ranking. You can do the prepaid exam above or pay $39.99 with DVD 1 exam, same with DVD 2 & $49.99 for the final DVD which includes the Black Belt exam.